This is well-used sword guard. 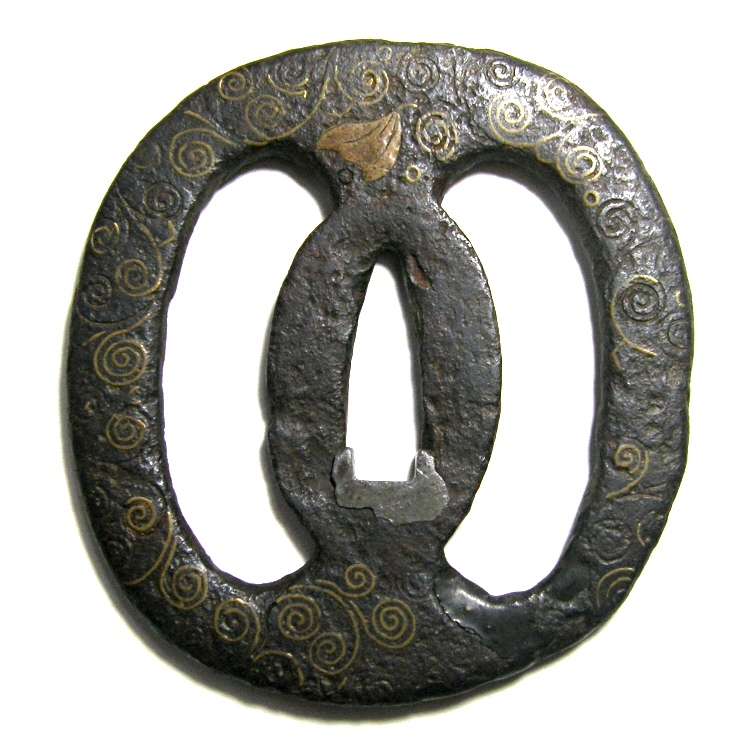 This kind of shape of the sword guard is called "Namako-Sukashu" that means openworked tsuba like sea cucumber. 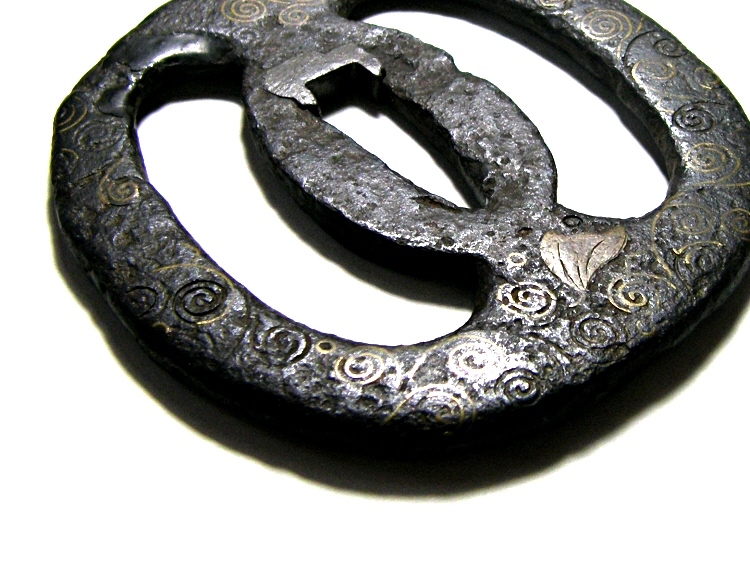 It is slightly rusty, however, the color of this tsuba is nice as it is made from well forged iron. Arabesque (Karakusa) pattern is expressed on both sides in the brass inlay method (Shinchu Zogan). 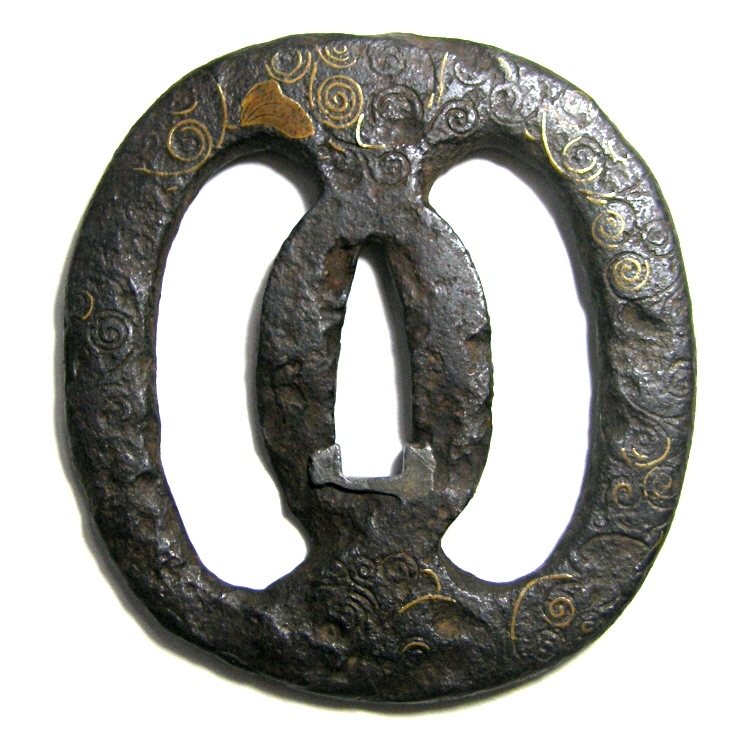 The inlay method of this tsuba is very similar to that of the Heianjo style tsuba. Some parts of the brass inlay are peeled off. 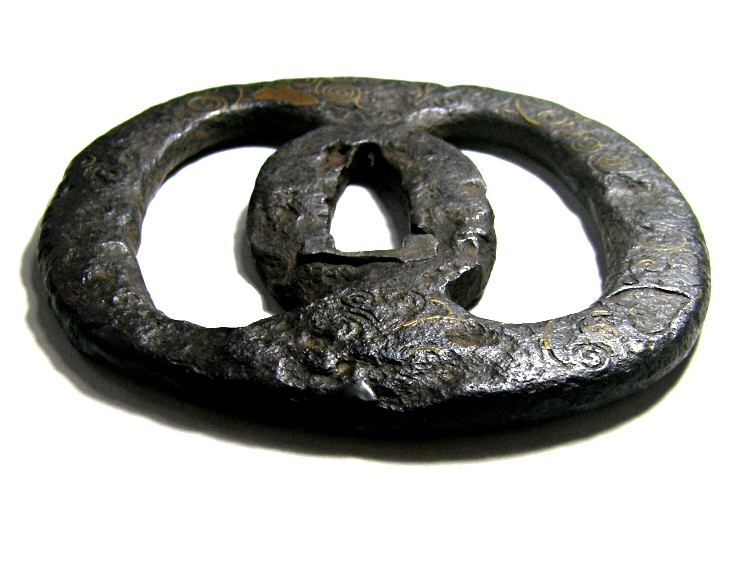 We estimate this tsuba was made at the early part of the Edo period. It is inlaid with brass.